“This is Nat, she’s Abo.” That’s how a “friend” introduced Natalie Cromb to a person at a party in 2003. Their horrified look prompted the swift, follow-up comment, “but she’s cool”. 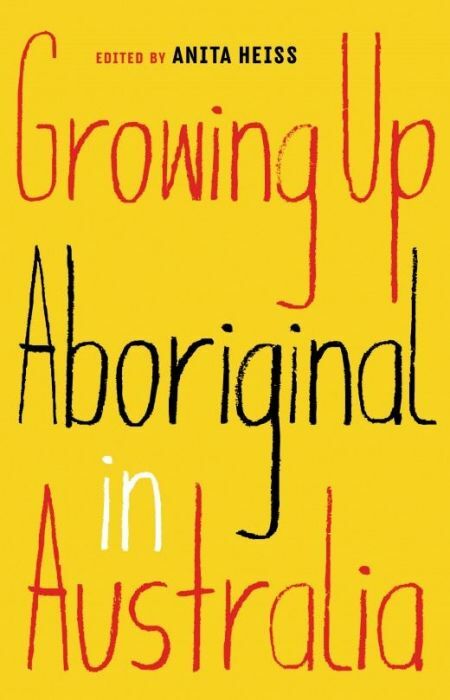 It was “as if their qualifying statement removed the clear abhorrence of my being Aboriginal from the equation”, Cromb writes in Growing Up Aboriginal in Australia. Coming from a friend, it was a shock. Natalie Cromb’s story is one of 51 short and compelling memoirs by Indigenous Australians that feature in this brilliant book. Their stories cover country from Nukunu to Noongar, Wiradjuri to Western Arrente, Ku Ku Yalinja to Kunibidji, Gunditjamara to Gumbaynggirr, and beyond. Contributions from well-known Aboriginal people, including footballer Adam Goodes, athlete Patrick Johnson, actor Miranda Tapsell, singer Deborah Cheetham and writer Tony Birch, sit alongside offerings from not-so-famous individuals who are equally articulate about the joys and challenges of growing up Aboriginal in Australia. What quickly becomes clear from these stories is the incredible diversity and remarkable resilience of Indigenous people, despite the ongoing injury and discrimination perpetrated upon them. Common themes emerge from the complexity. One is the damage done by institutionalised and casual racism – including white Australia’s fixation on skin tone as a “measure” of Aboriginality. Other contributors bear the sorrow and distress of dispossession and of their own or their forebears’ forced removal from their families and cultural practices. Connections to kin and country are celebrated throughout the anthology as sources of strength and shapers of identity. Ndjebbana-speaker and teacher Alice Eather took her life before this anthology was published, and it is dedicated to her – along with “so many others who were lost too soon”. If you only read one memoir from the book, make it Alice’s. Dwell on her poem “Yuyu Karraburru” and the beauty and sorrow it expresses. Feel her heartbreak and her hopes for her people. Hear her plea for us to find a kinder way to live together.